Vehicle Emissions: What are they and how are they measured under the new MOT Test? As of May 20th 2018 the MOT test for vehicles in the UK changed – but what does that mean when it comes to emissions? Never fear, Trust My Garage is here with the answers! The Department for Transport (DfT) states that emissions are pollutants created by petrol, diesel and alternatively-fuelled engines. These pollutants are; carbon monoxide, oxides of nitrogen, un-burnt hydrocarbons and particulate matter. The levels of pollutants present in each vehicle can depend on vehicle technology and the state of maintenance of the vehicle – so older cars have a tendency to produce more emissions. Like all pollutants, they cause immediate and long-term effects on the environment. Car exhausts emit a wide range of gases and solid matter, which has been cited as a cause of global warming, acid rain, environmental damage and human health damage. Engine noise and fuel spills also cause pollution. Nitrous oxide emissions have also been shown to contribute to the depletion of the Ozone layer around the Earth. How is the new MOT test combatting emissions? The MOT test now includes updates for the amount of emissions a diesel vehicle can produce – with garages also having to update their Diesel Smoke Meters to ensure they meet requirements for testing. Find out what the .Gov website states about emissions testing here. As well as this, if your car is new enough to have a Diesel Particulate Filter (DPF), evidence that it has been tampered with – or the presence of exhaust smoke of any colour – will now constitute a ‘major’ MOT fault. This will need to be rectified before a pass can be issued. 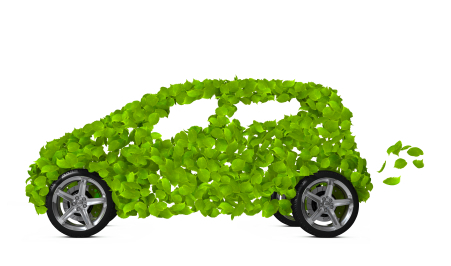 Over time, vehicle manufacturers have realised the importance of emissions and pollution for the environment. The ‘Euro 6’ emission standard has provided a benchmark form of legislation, and as of September 2015 all mass-produced cars sold from this date need to meet the set requirements. The aim of Euro 6 is to reduce levels of harmful car and van exhaust emissions, both in petrol and diesel cars. Emissions of air quality pollutants from road vehicles have been reduced by improving the quality of fuels and by setting increasingly stringent emission limits for new vehicles. As an example, it would take 50 new cars to produce the same quantity of air quality pollutant emissions per kilometre as a vehicle made in 1970. Drive Steadily – hard acceleration and braking forces your vehicle to work harder, creating more emissions from your exhaust. Don’t overload – the additional weight will require you to use extra power. This means that your engine is using more fuel to accommodate the extra kilos. Have regular services – By keeping your vehicle well maintained you can ensure all its internal parts are working efficiently, putting less stress on your motor and the environment! Don’t forget, you can book a service and find your nearest Trust My Garage member here with our ‘Find a Garage’ map. Stretch your legs – if you feel comfortable walking or cycling, then do so! Leaving your vehicle at home means it definitely can’t emit any pollutants. If you want to keep your vehicle in tip-top shape, you can visit your nearest Trust My Garage member. Whether it’s a check-up, service, MOT or repair, the Chartered Trading Standards Institute (CTSI) approved code of conduct that our members use mean that you and you motor both get the best possible service. Diesel Scrappage: What is it all about? In recent weeks there has been much talk about diesel emissions and how they are affecting pollution levels around the globe. Diesel engine vehicles are one of the main causes of concern for pollution levels, especially on the back of the Dieselgate scandal, where Volkswagen pleaded guilty in the US to allegations they hid true vehicle emission levels during emissions testing. Despite the new technology being used in electric and hybrid vehicles, as well as average petrol cars, hundreds of thousands of daily use vehicles are powered by diesel engines, as they are seen to be the most fuel efficient. So, in the face of a potential oncoming vendetta against diesel as a fuel, what can UK motorists do? The British government are currently drafting plans to try and reduce the amount of emissions in cities around the UK. Their ‘Clean Air Plan’ aims to tackle dirty and polluted air, reducing overall pollution. Clean air zones could be set up in dozens of cities and towns, according to the document. How would the ‘Clean Air Plan’ affect motorists? The series of documents on a clean air strategy cover a wide variety of options, the most radical measure being considered is what’s termed a “targeted” car scrappage scheme. In its technical documents supporting the plan, modellers estimate that such a scheme could take 15,000 diesel and older petrol cars off the road. The suggestion is that a scheme could be brought in within two years. The UK Government previously introduced a £300million vehicle scrappage scheme in 2009 that applied to all old vehicles. In return for scrapping their old car or van, owners were given £1,000 from the Government towards a new vehicle. However, it seems the incentive to choose a more eco-friendly car will require a larger grant to get motorists to give up their long-serving diesel vehicles. While there are benefits to embracing a diesel scrappage scheme, it has been reported that motorists could also face a ‘triple whammy’ when it comes to costs, in order to ensure the grants provided to those taking part in the scheme are cost effective. Parking charges, pollution charges, and a new tax increase are all potential dangers for a driver’s wallet. Is my car eligible for the diesel scrappage scheme? It’s expected that the scrappage scheme will target the oldest diesel vehicles on the road, which also tend to be the dirtiest. Any diesel car or van that’s more than 10 years old is likely to be eligible for the scheme, while more modern diesels will be exempt. At present, the Clean Air Plan has only been through a first draft, and will likely take some time to be completed. If you’d like to read more about the plan and the results of the consultation that inspired it, you can take a look at the .Gov website here. If you’re looking to check your car or motorcycle’s emissions, book it in for an MOT, service, or just a bit of a tune-up, you can find your nearest CTSI Consumer Code approved Trust My Garage member using our handy ‘Find a Garage’ map. Once your car is ready to hit the road you can also check out our top tips for driving in summer here, too! We have already pointed out the things to look out for when driving abroad but if you are driving on holiday in the UK this year have you considered your carbon footprint? In 2008, the UK government unveiled its plan to cut the nation’s carbon emissions by 80% before 2050, and last year UK vehicle manufacturers were told by EU environmental regulations that they should cut their carbon emissions throughout the manufacturing process. So what can you do to make sure your driving not only saves money by reducing your fuel consumption, but you will also contribute to saving the planet by not releasing harmful emissions into the atmosphere? OK, it might seem an expensive thing to do if you have already had your car for a long time, but if you are due a change, make sure vehicle efficiency is something you consider. Typically, scaling down from a large vehicle to a smaller vehicle will result in less CO2 emissions. Bear in mind that cars with electric engines emit no pollutants and charging stations are increasing across the UK. Vehicle manufacturers are always looking to make their products as aerodynamic as possible. Adding a roof box or rack on top of your vehicle compromises this. It increases the wind drag on your car, making your engine work harder and increasing fuel consumption, especially when driving at high speeds. If you don’t need to use it for your journey, remove it. Tyres are often be overlooked by drivers, but one of the easiest ways to reduce carbon emissions is to make sure your tyres are properly inflated. Underinflated tyres make the engine work harder due to the surface drag and friction with the road surface. Properly inflated tyres have less contact with the road, encountering less friction and meaning that excess fuel is not wasted. Driving on underinflated tyres also leads to potential damage to the tyre or the wheel rim which means you will have to change your tyres more frequently, resulting in a higher use of the earth’s resources. We all put things in our boot and leave them in there, but this could be harming your green credentials. Remember your engine burns fuel for energy, so the more energy it needs to carry the unnecessary weight, the more C02 emissions are released into the atmosphere. Make sure you have only what is necessary in your boot and remove any items you don’t need to carry it around. It is something you are taught when learning to drive, but remember to drive in the most appropriate gear for the road conditions. Getting into fifth ( or even sixth in modern cars) gear during motorway driving, for example, whilst staying within the speed limits, will help with optimising your fuel consumption. However, remember to stay in a lower gear when driving down steep hills. For most people, shopping is a chore yet many of us make unnecessary trips to the supermarket or the local shops for items we’ve forgotten during our weekly shop. This means increased fuel consumption, increased emissions and further wear and tear on the car. Minimise the number of journeys you make by planning ahead. Driving within the speed limit is a legal requirement, but try to keep your vehicle at a steady speed when driving. Accelerating rapidly and braking harder than you need to all reduce efficiency and waste fuel. Drive at a steady speed and stay at that pace for as long as you can to ensure you only use the fuel you really need to use. If you are stuck in a traffic jam or waiting to pick up a friend, turn your engine off. Many of us probably leave our engine running when we really could – and should – have turned it off. This is the easiest way to waste fuel and is more harmful to the environment. Trust My Garage members have the professional expertise and vehicle know-how to keep you car a lean, green machine. Regular services make sure things like your tyres and engine, are performing as they should and you are not unknowingly wasting any fuel or damaging the environment. So what are you waiting for? Book in with your local Trust My Garage member today and enjoy a service backed by Trading Standards after we applied to become a government code. Enter your postcode into our website HERE and book your car in with a trusted technician today. So you’ve just had a set of new tyres fitted ready for the summer, or maybe you recently had one replaced due to a blow out on the motorway? Your brand new tread is the maximum depth and you hit the road a satisfied motorist. At what point did you think about what happened to the worn out, lifeless tyres that had served your motor so well over the past months? It is actually illegal to keep waste tyres without a licence and if they are not properly reused, recycled, or disposed of correctly, they can have a detrimental effect on our communities and environment, let alone undermining legitimate businesses. How? If illegally kept tyres catch fire, they burn toxic smoke and pollute the water which has a damaging effect on the communities in the vicinity. Now there is an industry partnership which restores confidence in consumers about where their used tyres are going, and assures them that their tyres are being removed correctly, and reprocessed in a legal and environmentally friendly manner. 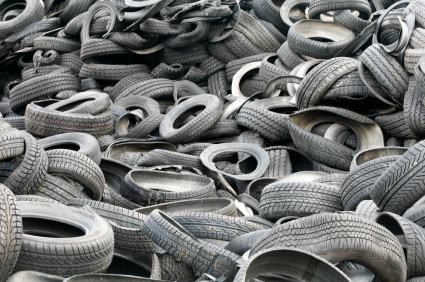 EACH YEAR THE UK GENERATES SOME 40 MILLION END-OF-LIFE CAR AND VAN TYRES OF WHICH 80% ARE COLLECTED AND REPROCESSED THROUGH THE INDUSTRY’S RESPONSIBLE RECYCLER SCHEME. We are doing our bit today to encourage tyre retailers and garages everywhere to dispose of tyres the right way. Our Operations Manager will be presenting at the official launch of the Responsible Retailer Initiative, which recognises tyre retailers using the scheme as Responsible Retailers. We will speak on the synergies between the scheme and Trust My Garage and how we are working to communicate this message to consumers. How can waste tyres be used? They can provide fuel for cement kilns. They can be transformed into various products like flooring, road surfaces, furniture, and shoes. Bales of tyres can be used in the construction of modern engineered landfill sites and flood defences. TIF Responsible Recycler Scheme members are subject to a rigorous annual audit process conducted regularly by independent environmental audit specialists. Garages that use an RRS member will be able to guarantee that tyres collected from their premises are reused, recycled or otherwise disposed of in ways which comply with UK and European statutory regulations. They will receive an annual certificate of compliance which you as a motorist can view in the workshops to be ensured that your tyres will be dealt with correctly.